“Where trust is unreserved, and you are glad you know that person. Tell me, did you ever feel that way about John Key, Bill English, ‘Mr Fixit’ Steven Joyce or Judith Collins, or Paula Bennett or Nick Smith or Simon Bridges? Judging by last night’s outcome, Peters wasn’t merely engaging in campaign rhetoric. Better the person you don’t know, Peters has decided, than the devil you do. Given this outcome, it also means that New Zealand has not fallen victim to post-truth politics. Thankfully, the litany of lies from National on the campaign trail (and the related fear-mongering) has not been rewarded. At such times, the commentariat usually try to claim retrospective wisdom, and point out why this choice was inevitable. Well, not me : I got it wrong. Until 7pm last night, it had still seemed virtually certain that Peters would choose National (a) because it was a simpler deal (b) because National would give him anything he wanted (c) because he couldn’t bear to be in the same room as the Greens (d) because of his shared social conservatism with Bill English and (e) because National could eventually offer NZF an Epsom-like deal in Whangarei for Shane Jones that would help resolve New Zealand First’s succession problem…etc etc. If Peters chooses National, it would [have been] like a lapsed Catholic returning to the church on his political deathbed. The years of apostasy – the decade or two of dabbling with New Zealand First – would fall away, as Peters returned to the political party from which he first emerged. It would be hard not to see that as a concession, if not as a defeat…. If [Peters] goes with Labour and the Greens, the meaning of those prior decades would change accordingly. Instead of being a boomerang arc, Peters’ career would look more like a consistent trajectory into the future. The break he made with National in the early 1990s would have been meaningful. Peters is a nationalist, more than anything else. (If he was Spanish, he’d probably be fighting today to keep Catalonia as part of Spain.) Some of the political forces that he saw as separatist are no longer in Parliament. Happily, the threat that market liberalisation poses to national sovereignty is in retreat all around the world, and within the Labour Party. Yes, Peters and many of his supporters certainly have their social and generational differences with Labour and the Greens, but these pale in comparison with the similarities between them on the more basic issues to do with economic sovereignty. If Peters can lend his experience to an untried leadership, his career will continue to be significant. Otherwise, he’s just going to be a footnote in the history of the National Party. Right. Well, we’ve now got a formal coalition between Labour and NZF, with the Greens at one remove, lending confidence and supply. NZF has won four ministerial positions inside Cabinet, and one ministerial role outside it; the Greens have three ministerial posts and an undersecretary position outside Cabinet. This afternoon, Labour’s ministerial posts will be revealed. By subtraction, we will then probably be able to hazard a reasonable guess as to what ministerial positions NZF and the Greens have gained, although the details – and policy concessions – will not be revealed until next week. The Greens, although situated outside Cabinet, will be bound by collective responsibility in their ministerial areas, but they will be free to take an independent position on any other issues. Last night, Peters sent a useful pre-emptive signal about the likely nature of the parliamentary battles to come. Despite the mantras from National that it has created a strong economy, the signs of economic softening are already evident. There were great risks in whatever decision we made and despite our having had no influence on these risks, some will attempt to heap the blame on us. That those blame caricatures are both spurious and misplaced, won’t stop attempts to mis-describe the cause of events. In reality of course, Labour /NZF have absolutely nothing to learn from National when it comes down to economic management. 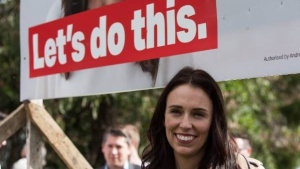 The last time Labour was in power it ran nine years of surpluses and – rather than spend up large – it paid down government debt to an extent that enabled New Zealand to survive the Global Financial Crisis in good shape. What Labour/NZF have inherited is nine years of National’s neglect of glaring social problems and inequalities. That will require government spending, to redress the social deficit. That’s a good thing – and the stimulation is likely to be useful in the context of a slowing economy. The work of renewal begins immediately. Last night’s outcome would have come as a bitter blow for Bill English whose career will now be book-ended by his 2002 election humiliation and this latest defeat. After a decent interval, English will resign. Looking out towards 2020, National will need to seek rejuvenation surely, in politicians other than the generation of Steven Joyce, Paula Bennett and Judith Collins. If ability is to become the deciding factor in choosing a new leader, Amy Adams should be a shoo-in. However, that leadership decision will pose an interesting internal challenge for National. Routinely, National has said it hasn’t needed a quota system to achieve gender parity because it promotes on merit. Well, Adams will be a litmus test for just how robust in reality, that argument really is. (Currently, Simon Bridges is Adams’ only credible competition though Jonathan Coleman will entertain deluded hopes.) So, New Zealand could well be about to enter an era where both the Prime Minister and the Leader of the Opposition are women. Who wouldn’t want Cary Grant to be singing “You’re The Top…” to you? She deserves it.